What does “Tomorrow” Have in Store? After following its splash at Sundance Film Festival and Ebertfest (Roger Ebert’s Film Festival) this spring, I eagerly await the public release of the film “Escape From Tomorrow,” this Friday, October 11th. 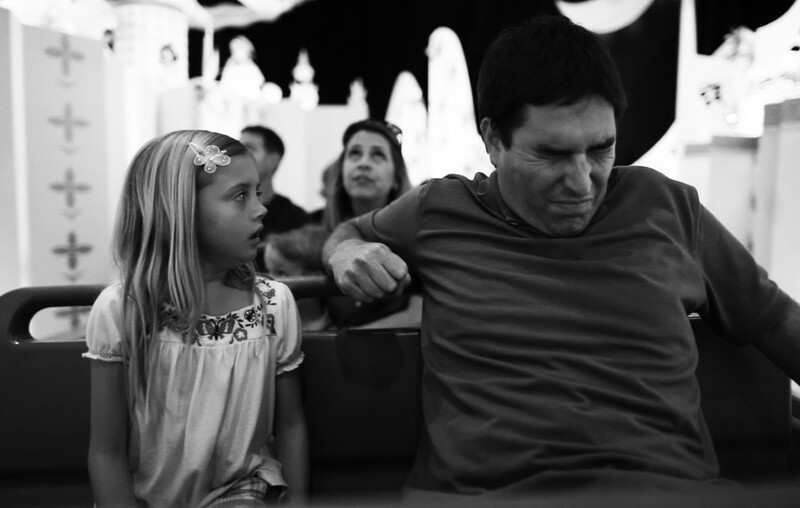 Its trailer is both enticing and riveting; while little information on the plot of the film is enclosed, the official trailer for “Escape From Tomorrow” teases at its particularly alluring aesthetic. This black-and-white psychodrama twists a family’s vacation to Disney World into a sinister, dark adventure for survival. Was Moore within his right to appropriate the Disney parks into his film without permission, especially considering the critical stance this horror film seems to take on Disney’s insistence on providing (or selling) happiness to all? Quite honestly, I’m still on the fence.